ClockTower Cars provide fully licensed vehicles and drivers for services in Coulsdon and the town’s surrounding areas. We pride ourselves on the service we give to our clients time and time again, no matter the time of day or how far they wish to travel. Coulsdon is a suburban town in South London, mainly situated within the borough of Croydon. The area is rich in history, with some of its location forming part of the North Downs and many tend to visit the area for its open spaces including Rickman Hill Park, the highest public park in London, and to follow the London Loop footpath. The car hire service that we offer is ideal for leisurely transport in and around Coulsdon, or if you’re looking for a reputable company that will provide you with transportation to surrounding train stations or airports. With a ClockTower car, you’re guaranteed a relaxed, friendly and comfortable journey. All of our cars not only comply with local authority standards, but fully comply with local authority standards. We are regularly commended on our team of drivers that we work with not only because of their experience in the industry but because they are personable, professional and confidential. 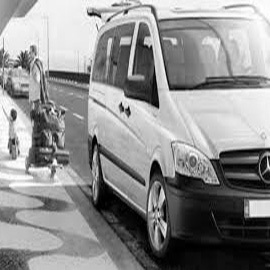 Some of the services that we offer include event and wedding hire, school runs and airport transfers. Whatever your wish, ClockTower cars are available 24 hours a day, seven days a week to assist you with whatever you might require. We think very highly of our drivers who never fail to provide a helpful service and to create a family-like atmosphere throughout your journey. 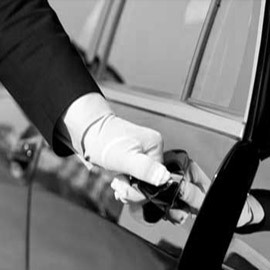 Sometimes, it can be difficult to find a minicab service that promotes affordable fixed rates alongside outstanding service, but with ClockTower Cars, this is exactly what you'll get. Most of our regular customers have returned to us thanks to this, and we have built up our client base by recommending the services that we offer to their friends and family. 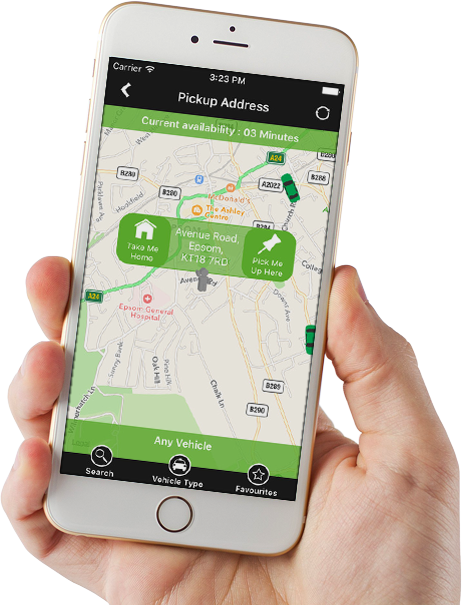 You don't need to worry about complicated booking procedures as, now with our iOS and Android app, it's easier than ever to book a car hire at the click of a button. If you need a specific vehicle, such as one for more than five passengers or one that has wheelchair access, both our app and our online booking service give you the option to choose which vehicle suits you best. Alternatively, you can speak to a helpful member of our team over the phone. Book with us online by clicking here or call us on 01737 333 700. When my car broke down unexpectedly one morning I was panicked as to how I’d get my kids to school on time. Luckily, my husband had the ClockTower app on his phone, and a car had arrived at our front door within minutes. Sometimes it can be difficult to find a taxi firm that is both affordable and delivers excellent service, so I definitely hit the jackpot by booking through ClockTower. The member of the team I spoke to over the phone regarding a vehicle with wheelchair access for my young son was so helpful and kind I couldn’t fault her. I’d just like to say a big big thank you to my driver at ClockTower who waited for me at the airport even though my flight was delayed. You won’t find many taxi companies that are willing to do that for their customers.